I have a new exhibition taking place at Cambridge Contemporary Crafts next month. 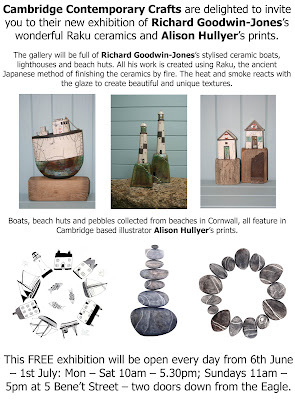 It's a lovely little gallery tucked around the corner from King's Parade, so if you are in the area, do call in and have a look around. It starts on 6th June and runs until 1st July. It was announced on Friday that my good friend Emma Quay had won the 2012 Australian Book Industry Association Award: Book of the Year for Younger Children. This is a big deal in Australia and is very well deserved. It was for 'Rudie Nudie', a book she wrote and illustrated. It's not available in the UK at the moment but many of her other books are, so look out for them. Here are two new designs of mine published by Phoenix Trading this month. 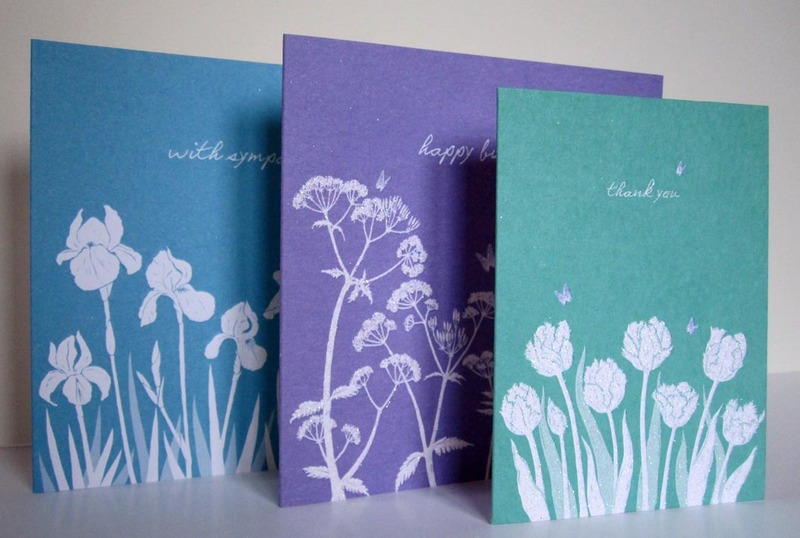 The Parrot Tulips make a lovely little 'thank you' gift card and compliment the existing two designs in a similar style. They are 83 x 110mm, on matt textured board with added glitter. The Beach Huts are just in time for summer, assuming it does arrive! I love the way they are die-cut so that the roofs pop up above the sky line. These are also on matt board and measure 210 x 90mm. This month marks 10 years of working freelance for publisher Phoenix Trading. 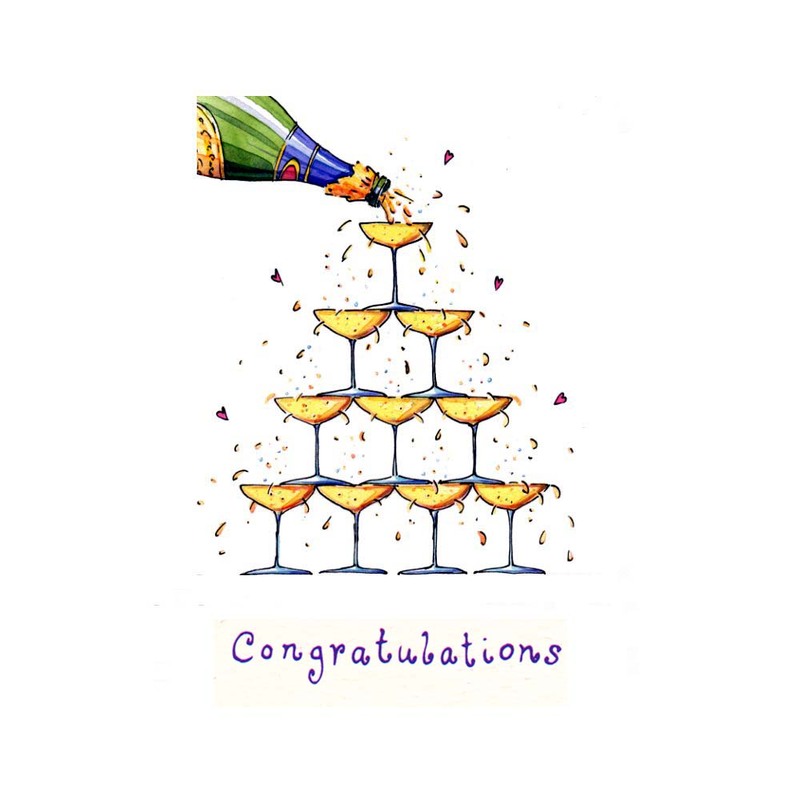 The Congratulations Champagne image was the first design of mine that they published way back in 2002. The design has since been modified and published again in 2010 as a money wallet. They are a great company to work for and I hope I can continue to produce new and exciting designs for them for many more years to come.